Ultra Dolphin Revolution is back with another budget entry on the Wii U. However, it falls short when compared to their last eShop offering. 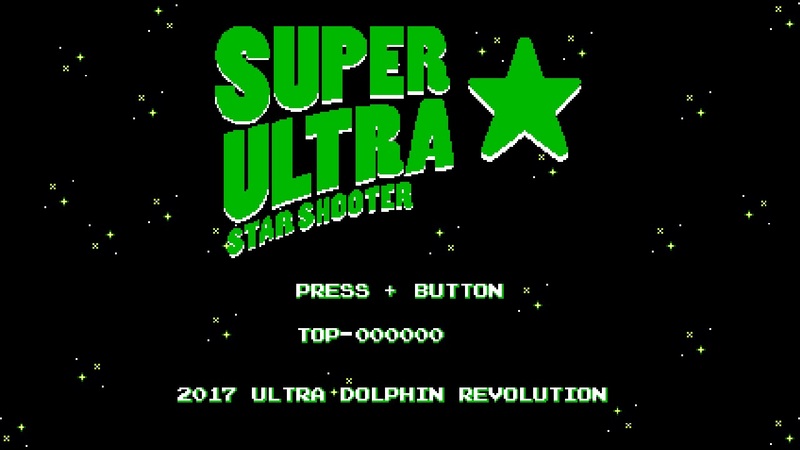 Regrettably, Super Ultra Star Shooter proves neither super, nor ultra. The shooting action is stale, with limited powerups and haphazard enemy placement. Collecting food items simply for a bonus isn’t terribly exciting, nor is it worth the risk of your ship exploding. Speaking of, while you’re given a generous nine lives, I would’ve taken a few less if it meant my ship could take more than a single hit. The game is a high score chaser – “Try to get the highest score possible!” – but it doesn’t even provide local leaderboards, nevermind online ones. I tried to stave off boredom, but it’s sadly inevitable. The unappealing aesthetics don’t help. The background is distracting, and the shrill sound effects ruin what would’ve been a catchy chiptune take on the classical Piano Sonata No.11 by Mozart. 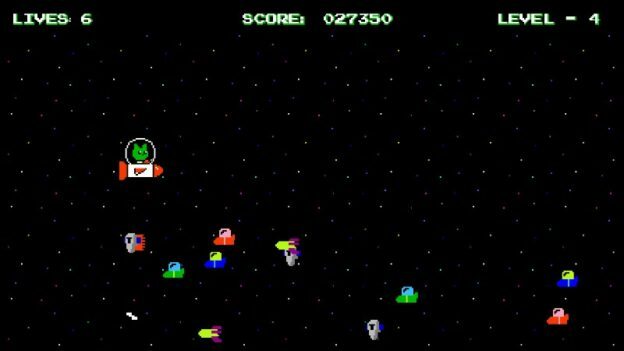 The desire to keep playing was never instilled by Super Ultra Star Shooter. Points simply don’t mean enough here. The content is thin (not even a two-player mode), the presentation subpar, and the game even froze on me, albeit just once. These are some of the reasons to take a pass. Spend the extra dollar on Space Hunted instead.